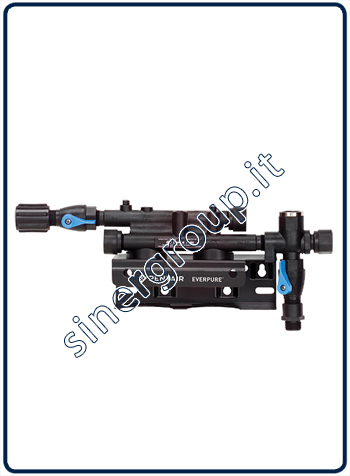 Sinergroup Srl provides only through the companies such as distributors, retailers, manufacturers and assemblers. Once you have completed the registration form, you will receive tha enabling to purchase within the next 24 hours. The prices of each delivery will be as indicated on the price list in progress on the day of shipment of the goods. The material is packed originally with the quantity indicated in parentheses. No claims for orders placed by telephone. Claims for missing or defective goods must be indicated on the Packing List at the time of delivery of the goods, any disputes or claims for defects must be clearly communicated in writing not later than 8 days from the date of delivery. It 's not the buyer's ability to refuse the goods or asking compensation for delays in delivery. In any case, the return of goods must be authorized in writing by compiling the form Sinergroup "RMA"
The buyer must determine the conformity of the product to the correct destination use, becoming any risk or responsability caused by it. For each shipment of material is applied in marking a 2% additional charge on the total amount of the invoice. Payment of invoices must be made only to Sinergroup Srl, within the agreed terms. These terms and conditions of sale are considered known and accepted by the transmission of the purchase order sent by the customer to Sinergroup and can be modified by Sinergroup through a simple written communication. The products are designed to innovation and continuous improvement. For this reason Sinergroup reserves the right to change prices and data contained in these pages at any time without advice.